Here’s some of the museum-related tales I’ve been reading this week. Note for my Twitter followers, some of these may be overlaps. For those of you unable to make it to the Bowie exhibition at the V&A–or even for those of you that can–here’s an interesting piece that tackles both the exhibit and Bowie in general. SFMOMA has added a Rothko to their collection…their cafe collection. Speaking of Rothko, Latvia hopes for Baltic “Bilbao effect” with museum dedicated to US art superstar Mark Rothko. And while we’re in the Baltic States, let’s check out the Lithuanian Road Museum and its diverse collection. Munch ado about something. Norwegian government steps in on Munch Museum row. I’m clearly not the only one who thinks a $20-$25 admission charge at the 9/11 Museum is a touch inappropriate. Celebrities interpretations of “punk” fall short of expectations at this year’s punk-themed Met Ball. So, perhaps not too many people are looking to Greece right now for positive inspiration, but here’s one way we could learn from Greek museums. If you’re an art history fan, you really should pick up a copy of Sacre Bleu by Christopher Moore. Toulouse-Lautrec, Monet, Renoir, Pissaro, Degas, Seurat, Whistler, Van Gogh, and many more make an appearance in its pages. You know what this world needs, more funk. And Dayton, Ohio is stepping up to the challenge. Photo by See-Ming Lee via Flickr. 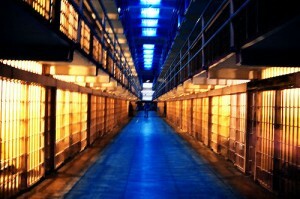 The Murder Room was published in 2003, but this debate is still raging today. Is one of these characters correct, are they all correct? I’m not sure there is one right answer. 1. Smithsonian Magazine. The granddaddy of them all, I’ve never not read one cover to cover. Plus, the ads in the back for large button cell phones are pretty hilarious. 2. Paper Monument: A Journal of Contemporary Art. There have only been three issues so far, but with articles like “How to Behave in an Art Museum,” “The Empire of Conversation,” and “Did Anyone Understand Chinese Art?” this is a publication worth adding to the pile on your coffee table. 3. Museums Journal. First published in 1901, this monthly offering from the Museum Association tackles it all: museum ethics, exhibits, profiles, book reviews, work practices, and more. 4. National Geographic. Whether it is the yellow borders on the cover that never fade, the stunning photographs, or the incredibly well-written articles, this magazine is consistently good. It’s always nice to enjoy yourself when learning new things. 5. Monocle Magazine. Not specifically about museums, but this British magazine covers art, design, politics, fashion, curation, international affairs, quality of life, and on and on. Sort of like a more artistic Economist. 1. 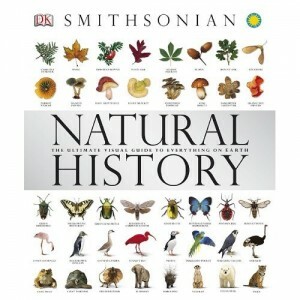 Natural History: The Ultimate Visual Guide to Everything on Earth is an (almost) comprehensive look at the bugs, birds, birches and more that call our planet home. 2. 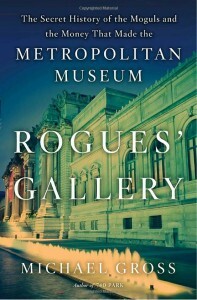 Rogue’s Gallery: The Secret Story of Lust, Lies, Greed, and Betrayals That Made the Metropolitan Museum of Art by Michael Gross. At times, this glimpse at the building of the Met reads a little slow, but for anyone interested in the history of some of our nation’s biggest movers and shakers or museums in general, this is a must read. 3. 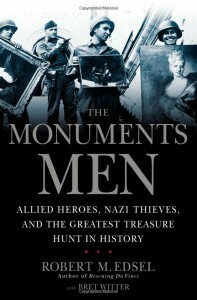 The Monuments Men: Allied Heroes, Nazi Thieves and the Greatest Treasure Hunt in History by Robert Edsel. What’s not to like? War heroes vs. Nazis, the hunt for priceless works of art, the triumph of good over evil all set against a WWII backdrop. 4. 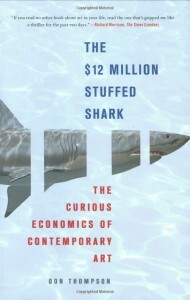 The $12 Million Stuffed Shark: The Curious Economics of Contemporary Art by Don Thompson. If you’ve ever looked at a piece of modern art and thought: “That’s worth what?!? !”, then this book might go a ways toward helping you understand the crazy world of contemporary art. 5. Ape House: A Novel by Sara Gruen. If you loved Water for Elephants, you know that Gruen is extremely gifted at bringing the emotions of animals to life. So, if you have a zoo or animal lover on your list, this might be a good last minute gift. What museum-related books will you be purchasing this holiday season? There is this book called Behind the Scenes at the Museum. It’s written by one of my favorite authors, Kate Atkinson; and while it is a great read, this story is not what I wanted it to be about when I first saw the title: mainly, a tale of intrigue at a world-famous museum. There have only been three episodes so far, but they sure have covered a lot of ground. 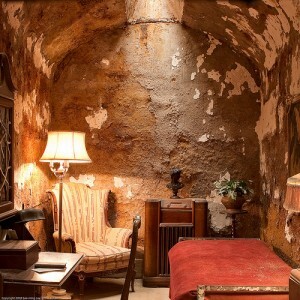 They’ve been to famous Alcatraz in the sharky waters of San Francisco Bay and the pretty sweet National Museum of the United States Air Force in Dayton, Ohio. They’ve investigated Seattle’s Avalanche Train, gone behind the scenes at the National Museum of Dentistry in Baltimore, and explored the unknown in Roswell, New Mexico. The Harvard Museum of Natural History‘s mastodon even made an appearance. It’s a chance to learn about the backstory of museum artifacts (famous and non) beyond what’s available on a museum placard. It’s an opportunity to meet the people who work at museums – curators, archaeologists, scientists, historians, etc. – and to see the passion that goes into preserving and presenting artifacts. It’s a great way to visit museums all across the country without putting a serious dent in your pocketbook and dealing with jet lag. (Downside: no frequent flier miles for you). Mysteries are exciting, of course. However, if you aren’t willing to pass up a Dancing with the Stars results show or can’t miss sweating it out with the Biggest Loser (both shows air on Tuesdays at 9 Eastern, just like Mysteries), you can always catch a rerun. Or, visit Travel Channel’s website for clips from past episodes, slideshows like “Top 10 Museum Mysteries” and “Must See Museums,” opportunities to plan your own museum travel itinerary, or leave a comment about your favorite museum experience. Ah, the Magazines section of a bookstore is a beautiful, wonderful place. Beautiful in the sense that you can read about wolves in National Geographic, then hop over to HOW Magazine for a tutorial in current typographical trends. There are pretty clothes, muscle cars, floral arrangements, and heated political debate all in one place. 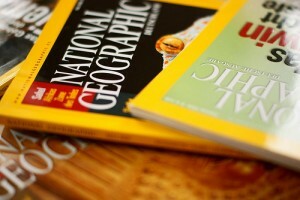 In a perfect world, I would be the proud possessor of a gagillion magazine subscriptions. 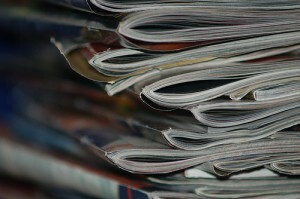 I would have my own bookstore Magazine section in the comfort of my home. But, this is not a perfect world. I am on a very tight budget and have a fear of being featured on that depressing Hoarders show on A&E, so only a handful of subscriptions is feasible. Today, as I was debating which publications to subscribe to, I came across a delightful intersection of magazines and museums. Bearing the lengthy, but ambitious, title of The Ladies’ Monthly Museum, Or, Polite Repository of Amusement and Instruction, I had to know more. Turns out, The Ladies’ Monthly Museum was a leading women’s periodical published between 1798 and 1832. During its tenure, the New York Stock Exchange was founded, the Reign of Terror started and ended, the Louisiana Purchase was purchased, the slave trade was abolished in Britain, and Napoleon rose and fell from power. In other words, it was a busy time and an important time in world history. While I don’t know if The Ladies’ Monthly Museum dove into these domestic and international events with any depth, I do know that they were making history in their own small way. The Monthly Museum was the first women’s periodical to feature colored engravings, which appeared in their “Cabinet of Fashion” section (the name was drawn from the term “Cabinet of Curiosities” that was the popular phrase for museum collections of the age). In addition to fashion, the magazine also published short stories and poems by female authors, profiled celebrated British women of the day, featured articles on such topics like the founding of the Bluestocking Society, and provided entertaining and educational tidbits to turn avid readers into exceptional conversationalists. Unfortunately, in spite of over three decades of successful publication, The Ladies’ Monthly Museum underwent a series of mergers with other periodicals before eventually disappearing altogether. Nevertheless, 178 years after its final issue, the magazine still resonates in the fields of publishing and women’s studies. It even has connections to the museum world, I mean, at the end of the day what museum is not a Repository for Amusement and Instruction?